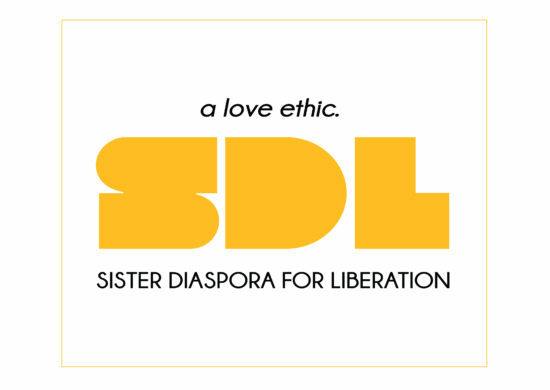 Sister Diaspora for Liberation Birth Support focuses on supporting women to advocate for their health needs by providing community education workshops and sliding scale doula services that span the breadth of reproductive care. #SDLBirthSupport consists of professionally trained resident doulas who help in the realms of education, encouragement and healing touch. Sister Diaspora Birth Support was born out of the dire need to prevent the current medical industry’s over-reliance of invasive interventions escalating to c-sections for low risk births resulting in an alarming disproportion of infant and/or maternal mortality rates in our communities of color. Our intentions as Doulas/Birth Activists is to significantly reduce imposed medical fear and trauma by providing the necessary prenatal education, birth support and postpartum care and healing rooted in ancestral pre-colonial teachings. We believe such medicinal teachings will guide us to birth the next seven generations. Marina Gonzalez Flores is a NYC-based feminist, activist, and healer. Marina has roots from Mexico to Chile to Washington D.C. to California. Her practice is grounded in ancestral knowledge, strength, love, community building, and collaboration. Marina’s interest in reproductive health came into fruition while working with Mayan-Yucatecan women in Mexico. There she learned and embraced the strength, support, and teachings from Indigenous midwives, doulas, mothers, and women. Her time in the Yucatan Peninsula has inspired Marina to support people who are undertaking transitions in life, such as giving birth, through a holistic rebirthing approach. Marina is trained as a full-spectrum doula with Ancient Song Doula Services and has taken a “Breastfeeding for Doulas” class from Birth Day Presence, “Matriz y Concha Summit: Lifelong Self-Womb Care” courses from Indigemama, and “Radically and Consciously Mooning” workshops from La Loba Loca. 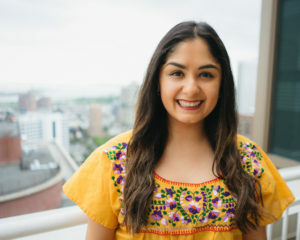 Marina has a Masters in Human Rights Studies from Columbia University where she focused on Indigenous peoples’ rights and women’s reproductive health. Her thesis argues that Indigenous midwives are important actors localizing women’s rights in their community. 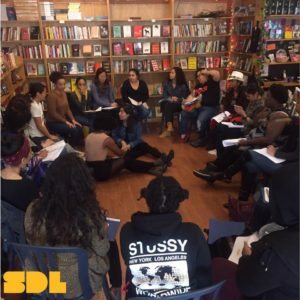 Marina is excited to continue to decolonize patterns of care and continue to support the greater New York City community through rebirthing processes and collective liberation. Lourdes, an Aquarius moon and School Counselor / Activist / Dreamer by day, has been fascinated with birthing since childhood. She recalls daydreaming about communal gatherings and rituals related to major life events, including birth. 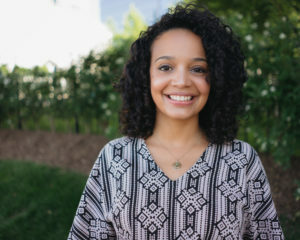 Recently, she learned that her paternal grandmother died of prolonged and pervasive postpartum depression, affirming her connection to — and passion for — the work. Her people are from the Spanish-speaking Caribbean by way of San Cristobal, Dominican Republic. Her people dwell in Uptown NYC and the Bronx. They are the students and families from Bushwick, Brownsville and East New York that she’s blessed to work with. Her people are light-workers, wanderers, activists, love-makers, and joy-creators. Lourdes’ practice is rooted in curiosity, love, light and shadow. As Lourdes continues to move through her journey on the Earthly plane, she seeks to learn the art of balance — physically, spiritually, and emotionally. She believes that a liberated space is one that is free of violence — whether it be speech, behavior or thoughts against ourselves and others. Freedom feels warm, nurturing and safe. It’s love. Leilani believes in healing ancestral trauma through birth work. She provides prenatal education and focuses on illuminating the many options available for one’s birthing experience and postpartum healing. Grounded in health research/studies with holistic modalities of care, she relies on herbal remedies, crystal healing, intuitive care and is an experienced doula in home, birthing center and hospital settings. She is trained in ‘Spinning Babies,’ a technique based on soft tissue anatomy used to assist with fetal position, pain relief and labor in progress. 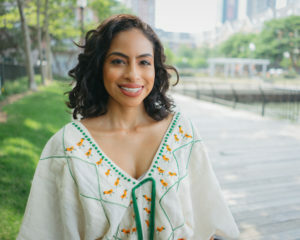 Her approach is a blend of innovative holistic wellness and a strong advocacy for maternal health, which is closely linked with the child’s health, which in turn is inextricably linked to the well-being of families, communities and society overall. Her diasporic ancestry consists of Native American and African ancestry by way of Guatemala, Mexico and Los Angeles. She completed her training as a certified Full-Spectrum Doula through Ancient Song and is currently a part-time pre-nursing student.